Breakfast smoothies are quick and easy. If you are running late, you can eat them in the car. If you are not a morning person, and prefer your breakfast a bit later, you can take your food with you to eat a little later in the day. They also make an excellent mid-morning snack for those who like to eat smaller meals several times a day. They are just so versatile we can’t help but love them! 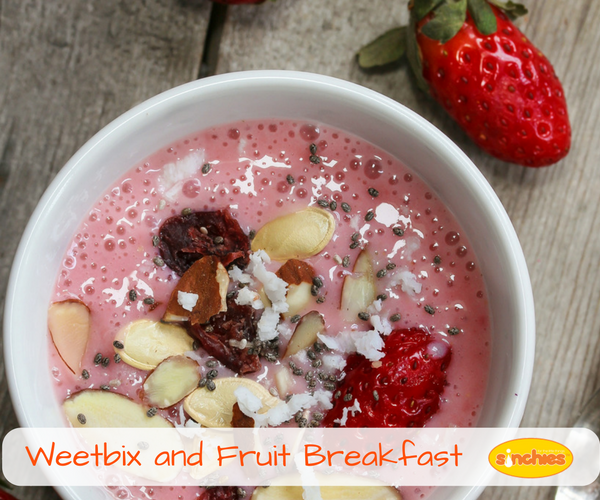 So, here’s a recipe for an awesome Weetbix and Fruit Breakfast Smoothie, enjoyable for everyone in the family. Add all the ingredients to your blender of choice and blend. The recipe above makes approximately 500ml which will fill 2 x 140ml pouches and 1 x 80ml pouch. Or, don't forget our 500ml man-sized pouch.